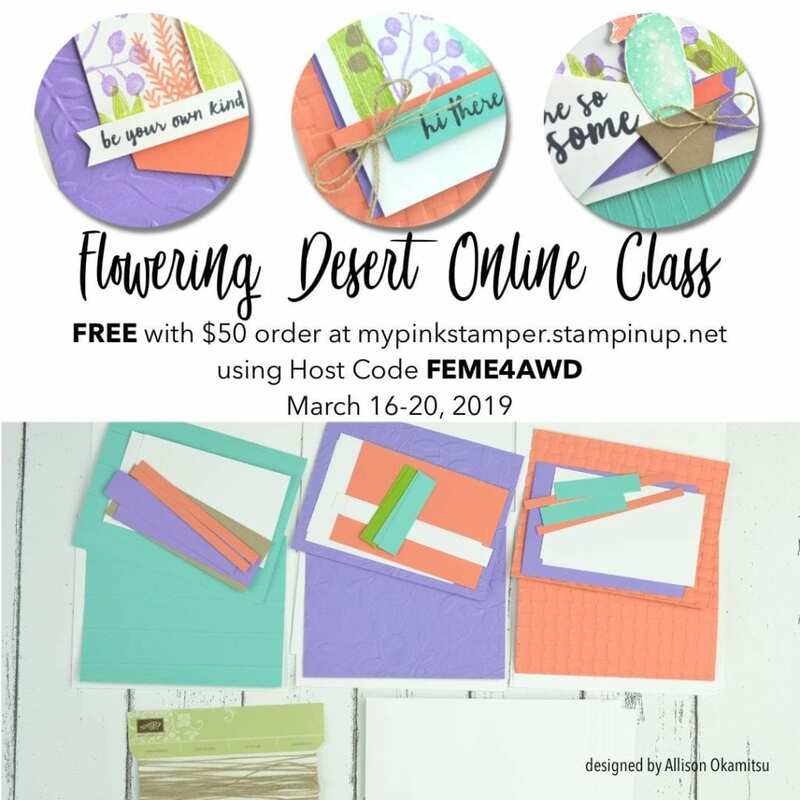 FREE Flowering Desert Online Class with $50 Order! I have a fun post for you today! I am offering a FREE online class with a $50 or more online order! You just need to remember to use the online class Host Code to receive the class packet in the mail! *I will send you all the consumable materials to make all the projects for FREE along with a free package of our Linen Thread as a gift from me. I will also email you the full online class video to watch whenever you would like, walking you through all the projects step by step next week! *You will need to order the following to make the projects in the class. #1 – Leave a comment on this post! Last Week’s Pink Candy Winner is…. See you all tomorrow for a NEW Video Tutorial! Thanks for sharing your ideas with us and for the chance to win. What a fun class! I have loved every class I’ve taken with you. Great give away! Thank you for giving us the opportunity to win one! I get so many ideas watching your blog. Thank you for sharing. You are so creative. What a great give a way! I love your website and your videos! Thanks for the chance to win this awesome gift!! 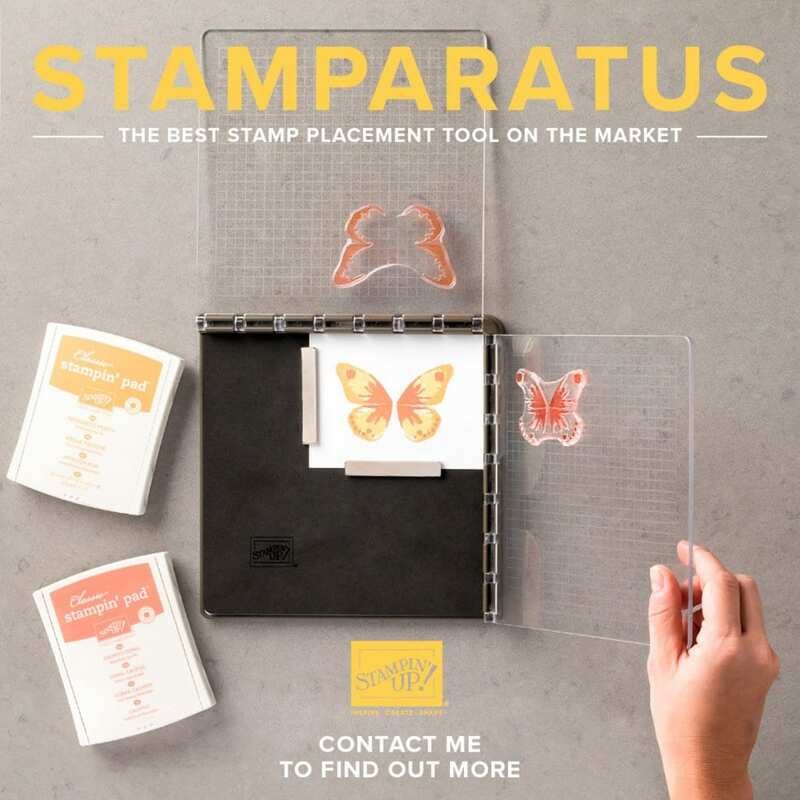 I think the Stamparatus is every crafter’s dream! You’re definitely going to make someone’s day a whole lot brighter when the winner is announced! Thanks for giving us all a chance at this awesome crafting product! This would be awesome to win…Thank you Robyn!!! Robyn, thank you for all you do for us. Classes, free projects, give always. You spoil us! Awesome! Just placed my order. Thanks! This is a very nice prize for a giveaway. Your generosity amazes me! Thanks for a chance to win a product I can’t afford. The free class has really pretty colors. Such fun! I could use the Stamparatus! Such fun! I need this Stamparatus! Beautiful colors for that class. If I join your team, Do I qualify? I will be joining before March ends. Hi Robin! I’m so excited for you to join my team by the end of March! You will have access to this online class video but the preorder for my team packets will end on Wednesday night, too. You could sign up by tomorrow night and then preorder the team packets on Wednesday for my team. I love anything desert related! Thanks for the chance to win that awesome Stamparatus! Still haven’t gotten one yet. Wow… what an awesome giveaway! I’d love to have a Stamparatus! Love the color combo you used for your beautiful cards! I am loving this week’s Pink Candy 🍭 and would love to have a Stamparatus among my craft tools. Thank you for doing these awesome giveaways each week. This an amazing giveaway and an amazing free class for ordering! Love both! Excited to have the opportunity to win! WOW I have wanted one since they came out! Thank you for the chance to win. Great giveaway! I enjoy the creativity in your cards. Wow!! What a great give away! I love flowering desert! Wish I could order, but alas, our furnace died this weekend, so not much fun spending for awhile! At least warmer weather is on the way! I have been dying to get my hands on this ! Thanks for the chance to have one ! On my wish list! Maybe I will get to check it off! Love the color combo in the class. You continue to be generous with the give aways. Thanks for the chance to win. What a fun color combo. Bring on spring. Beautiful color combo! So fresh! A stamparatus would be awesome! Good luck everyone! Would love this. Thank you. Thanks for all your work. I love your classes! Thanks for the chnce to win a Big Shot! Great giveaway opportunity! Thank you! Hope you have a great day! Thank you for the chance to win a Stamparatus Wow! !